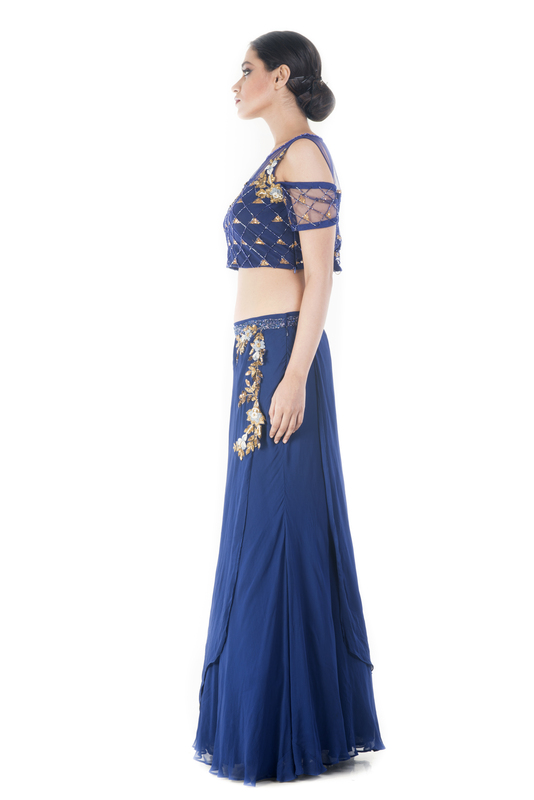 Featuring a royal blue one sided cold shoulder crop top and skirt set with golden embellishments on the yoke. 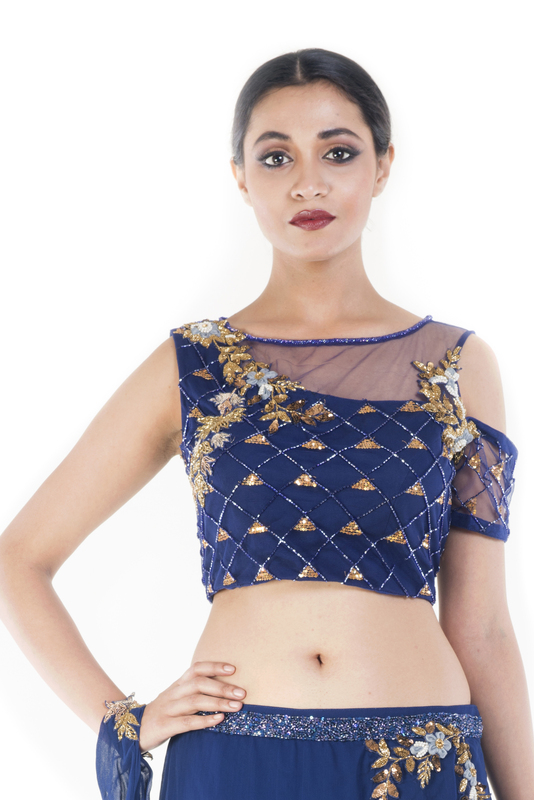 The crop top has intricate embroidery of cutdana,pearl work and sequins. The skirt has similar embroidery stylishly placed on the edge of the layer that cascades over the skirt and continues into a long trail which is to be wrapped around the wrist.